Monarch Air Group provides private air charter in High Point, NC. Our clients benefit from top-notch service, unrelenting dedication to safety, wide selection of aircraft, and years of experience in chartering private jets. To obtain a free quote, please use our online quoting tool provided below, or call toll free 1-877-281-3051. Monarch Air Group provides private jet charter flights in and out of High Point, North Carolina, USA. High Point is an industrial city in north central North Carolina, well-known for its furniture bus, and textiles manufacturing. Due to it city is often called the “Furniture Capital of the World”. 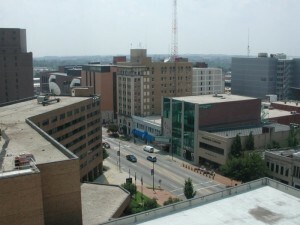 With a population of 104,371 people, today High Point is the eighth-largest municipality in North Carolina. There are two universities High Point University and Laurel University. The most popular places of interest in High Point include Angela Peterson Doll And Miniature Museum, High Point City Lake Park, Bernice Bienenstock Furniture Library, High Point Community Theatre, High Point Public Library, Museum of Old Domestic Life, Castle McCulloch Gold Mill, and many others. The city is served by Piedmont Triad International Airport (GSO / KGSO), which is located 14 miles from the center of High Point. 4. HFF, Mackall AAF, Hoffman, United States. 8. RDU, Raleigh-Durham International Airport, Raleigh/Durham, United States. 9. SOP, Pinehurst-S. Pines, Southern Pines, United States. 10. SRW, Rowan County, Salisbury, United States. 11. SVH, Municipal, Statesville, United States. 12. ZEF, Jonesville, NC, United States. 1. Best Western Plus High Point Hotel, 135 South Main Street, High Point. 2. Best Western Plus High Point Hotel, 135 South Main Street, High Point.